Weekends at ISTC are most known for their exclusive activities, but are full of so much more! The weekend at camp begins after our Friday morning checkout and follows a similar schedule to the rest of our week. The days still include full breakfast, lunch, and dinner as well as planned sessions. The sessions place an added emphasis on free choice and recreation, allowing campers to revisit their favorite activities from the week. Both Friday and Saturday feature a waterfront session to start the afternoon, followed by camper’s choice where everything becomes available, including the ropes course, mountain bikes, archery range, and fieldhouse sports. 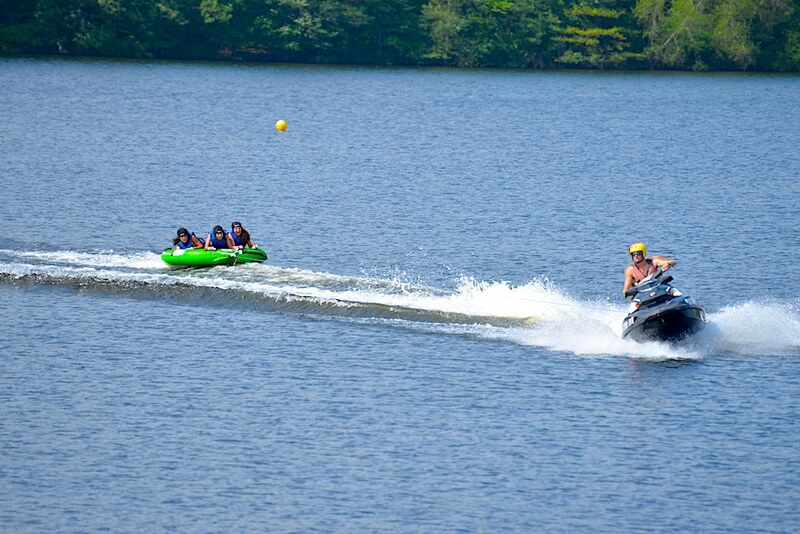 Tubing, an activity not included in the All-Sports schedule, is also an option for sign up using canteen money. The evening sessions feature the signature weekend activities. Friday evenings are highlighted with a full camp sports tournament. Campers rotate between sports like soccer, ultimate Frisbee, and lacrosse in a round robin setting to get their fix of competition. On Saturdays, we host a cruise night with a variety of games and prizes, including vouchers to the canteen. The nighttime is home to arguably, our most popular events. Friday nights each week is the Silent Disco! Instead of music playing through speakers, every camper receives a pair of headphones that can cycle between multiple tracks. The headphones also glow a specific color depending on the song so campers can see if they are all listening to the same song. 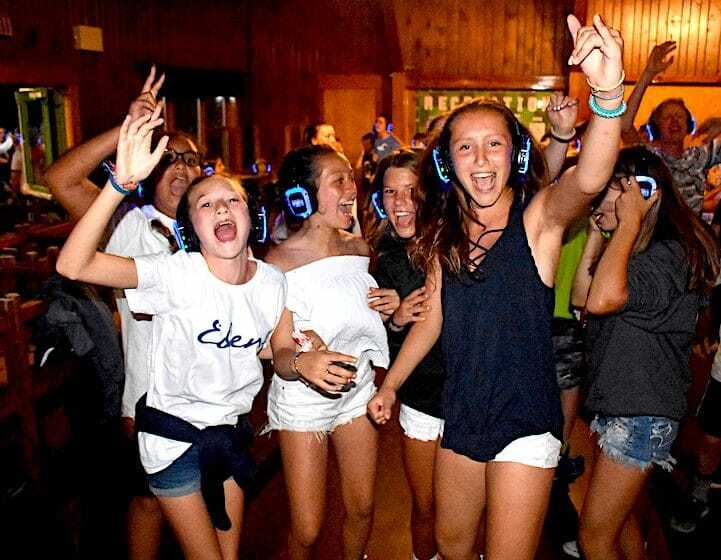 The Silent Disco quickly becomes louder than our standard dance, as campers sing and dance to the music of their choice. Saturday nights are an opportunity to wind down after an eventful week of sports. We set up a giant screen on the Waterfront for an outdoor nighttime movie. 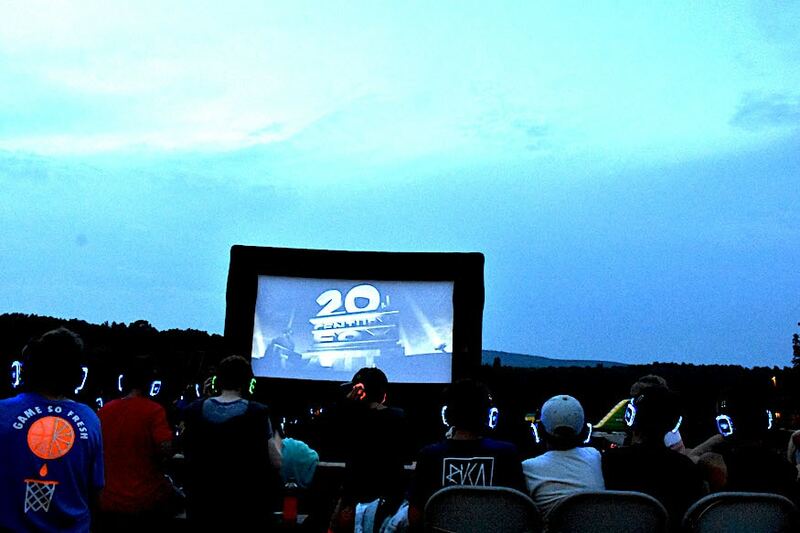 The headphones from the silent disco are synched to the movie screen, giving each camper a surround sound experience on top of the lake backdrop. Between all of the different activities and extra time for campers to build on their friendships, the weekends quickly become a favorite for many. Each year, we ask that all changes to checkout are made before May 1st; if you want to adjust your departure to make sure you are here for the weekend fun, please email our office.